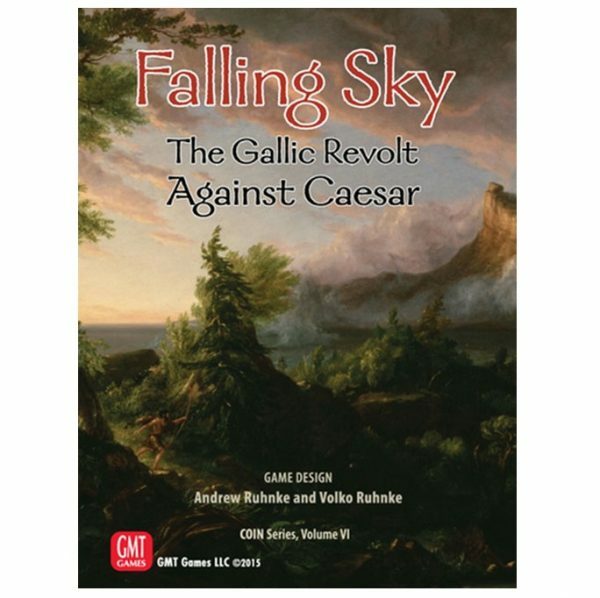 Falling Sky The Gallic Revolt Against Caesar | Queen of Games de beste, leukste bordspellen en kaartspellen in Oostende kopen aan de goedkoopste, scherpste prijs. 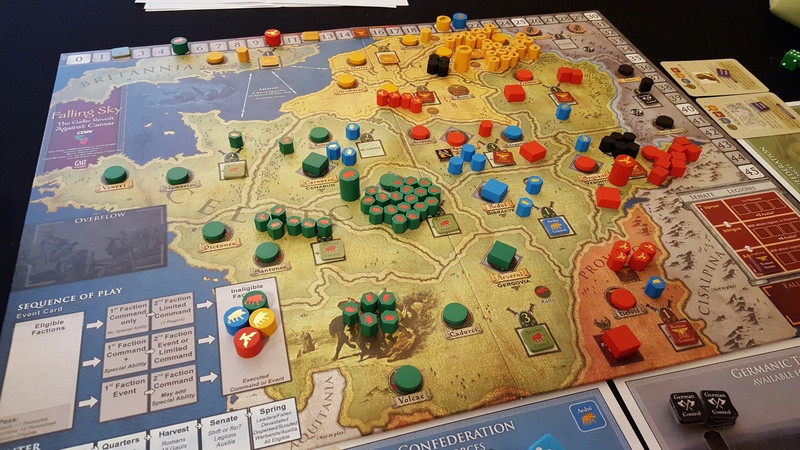 Falling Sky : The Gallic Revolt Against Caesar (formerly Gallic War) takes 1 to 4 players into the military actions and complex politics of Roman-occupied but not-yet-conquered Gaul. 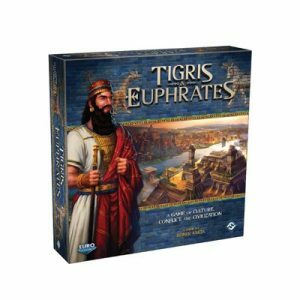 Caesar and his hard-hitting legions cannot be everywhere and will not triumph without powerful allies among local tribes. 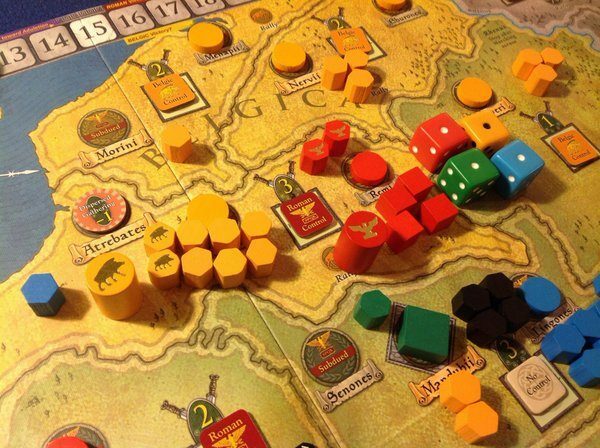 But each Gallic confederation has its own agenda and must keep its eyes not only on the Romans but also on Celtic, Belgic, and Germanic rivals. 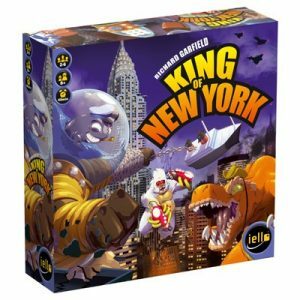 Players recruit forces, rally allies, husband resources for war, and balance dispersed action with the effectiveness and risk of concentrated battle. 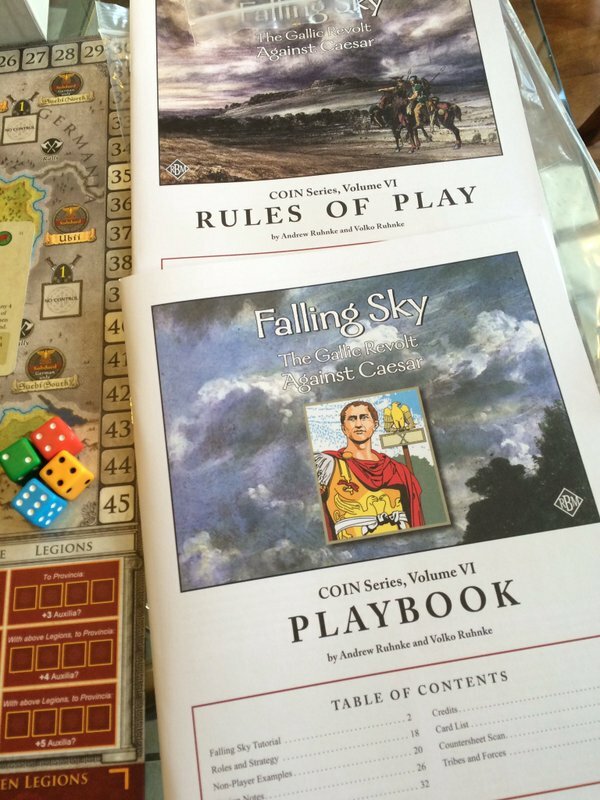 Leveraging GMT’s popular COIN Series system to integrate historical events with wide-ranging strategic options across the game board, Falling Sky provides accessible and deep historical gaming of war, politics, and diplomacy. 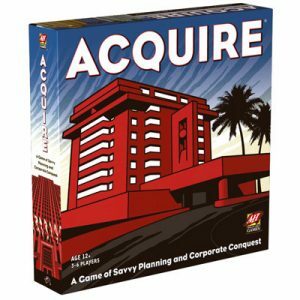 A full solitaire system enables solo players to test their skill against an array of game-run factions, each unique. 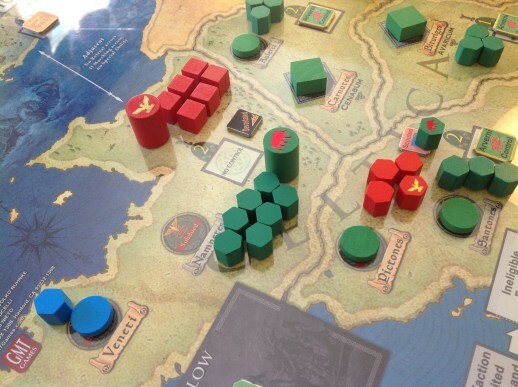 From Britannia to the Rhenus and down to Provincia, armies are on the move. Who shall finally subdue Gaul? • A 17”x22” mounted board. • A deck of 77 playing cards. 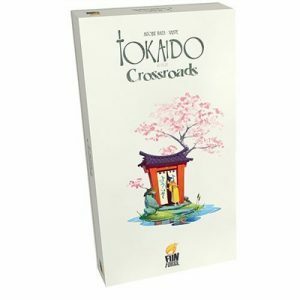 • 5 5×7” Available Forces displays. • 4 Faction player aid foldouts. 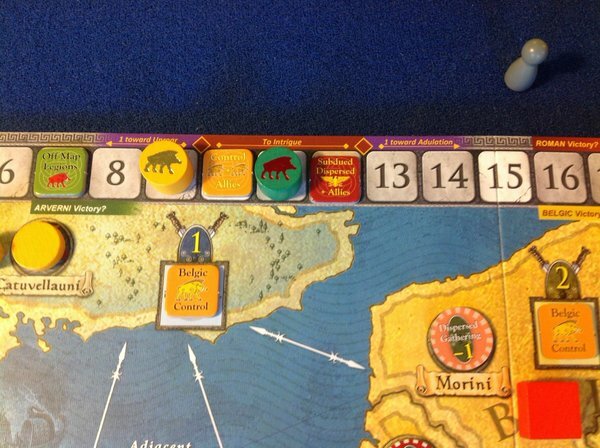 • 2 Sequence of Play and Germanic Tribes sheets. • 1 Battle and Non-Player Instructions foldout. • A sheet of markers. • 4 plastic 6-sided dice. Wees de eerste om “Falling Sky The Gallic Revolt Against Caesar” te beoordelen Click here to cancel reply.